Classroom management software assists in the creation of a class environment meant to better engage students in the learning process. These tools can limit students’ access to distracting programs and websites on electronic devices. Some provide engaging activities and designs to better stimulate and motivate students in the classroom and at home. Additionally, it helps improve student behavior and performance through advanced feedback features. Many kinds of classroom management software are able to be used by both teachers and parents, enabling teachers to provide parents an accurate and holistic look at how their student is performing in class. Teachers are able to track progress and provide goals for students to then inform parents of their child’s progress. Classroom management software can work alongside a school’s learning management system (LMS) and student information system (SIS), providing educators and parents with deeper insights into student behavior and progress. Some classroom management products may also be included in the survey category. Classroom Management reviews by real, verified users. Find unbiased ratings on user satisfaction, features, and price based on the most reviews available anywhere. 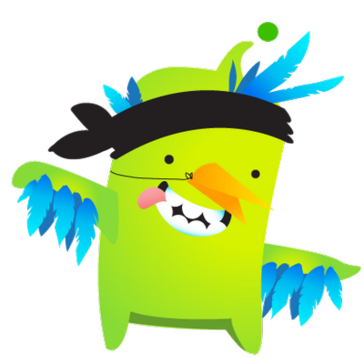 ClassDojo is a simple classroom management using positive feedback and parent communication. Remind helps teachers reach students and parents where they are. 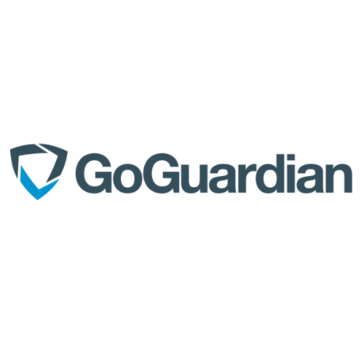 It helps schools protect students online and easily manage their technology. It also provides tools for teachers to help them connect with their students, safely guide them through online content, and manage technology in the classroom. 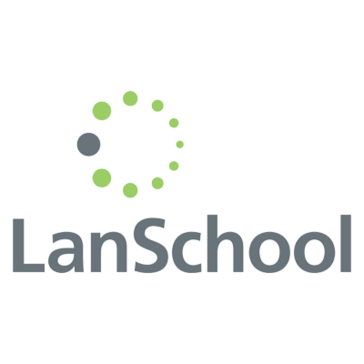 LanSchool allows teachers to remove distractions, such as the Internet, instant messaging, email, and games from the classroom. Hero makes student behavior management applications for K12 schools. It is designed to recognize students for stand out behavior. DyKnow is a classroom management software for Chromebooks, PCs, and MacBooks that helps you... monitor devices, defeat distractions, and keep students on-task. Socrative is an instant response tool designed for the K-12 classroom environment. iTunes U is a classroom management app. Showbie combines all of the essential tools for assignments, feedback, and communication in one easy-to-use platform. No matter which devices you're using (from iPads to Chromebooks to iPhones), Showbie works for you. Showbie can be set up in minutes. This means less time spent struggling with your tech setup and more time for teaching and learning. Teachers can find everything they need right at their fingertips to organize their classrooms and connect with students. In Showbie, work is never lost or misplaced, and students always stay productive with due date and assignment notifications. Showbie integrates seamlessly with the apps students and teachers are already using, allowing them to assemble, curate, and share all of their creative work in one place. Empowering teachers to provide the education that every student deserves. Working across all platforms, NetSupport School supports a teacher with a wealth of dedicated assessment, monitoring, collaboration and control features to ensure they can leverage the very best from their ICT equipment. PlanbookEdu.com is an online lesson planner that makes it easy for teachers of all grade levels to create, share and print their lesson plans. Hapara provides visible, differentiated and secure instructional management for K12 online learning. Hapara Dashboard serves as the teacher’s hub of all student work organized by class. Hapara Highlights enables teachers to view and facilitate real time browser activity of learners. Hapara Workspace allows teachers to create activities with learning pathways based on student needs and interests and view student and group learning. Regardless of whether students use iPads, Android tablets, desktop computers, laptops or mobile phones, Hapara tools give teachers the management capability and insight into student efforts they need to deliver a 21st century education. Aware is an enhanced system designed to simplify test construction, administering assessments, and analyzing student progress. Whether you're just getting started with behavior management or fully practicing a schoolwide program such as PBIS or Social Emotional Learning, Kickboard is the best technology for schools that want to see real results from a better school culture. With features that actually help students stay more engaged and act positively - while giving school leaders and teachers multiple levels of support - your school culture will be moving the achievement needle in no time. Forethought is a curriculum and activity editor designed to make the process of creating and updating resources fast and easy. 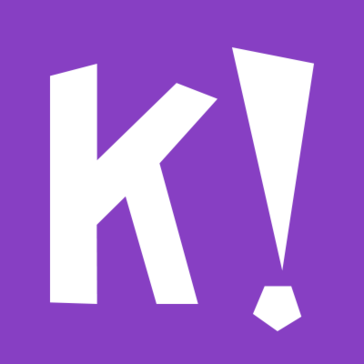 Kannu is a learning management system designed by educators, for educators. Our goal is to activate online learning with pedagogical flexibility and peer interaction, on a thoughtfully designed platform. With Kannu, courses are engaging, interactive, and customizable. eduphoria! provides schools with the tools to create the most successful learning environment while maintaining budget and enhancing education. Data analytics that help schools improve through feedback surveys of students, parents and teachers. OnCourse Lesson Planner is designed to streamline the lesson planning process, allowing teachers to modify and submit lesson plans for review directly from an Android phone or tablet. Teaching the Next Digital Generation. A classroom management app that allows teachers to view student screens isn’t good enough. Teachers need help monitoring student devices so they can spot students who are getting off-task or are struggling to keep up with their peers. New Lightspeed Systems Classroom is a cloud-based classroom management solution that gives teachers unparalleled visibility into what’s going on with classroom devices. With Classroom, teachers don’t have to worry about being everywhere at once, peering at every student’s screen. Teachers also don’t have to be glued to their own screens, following their students’ page views and trying to figure out who’s off-task. Classroom leverages smart analytics tools to zero in on unusual browsing activity, notifying teachers in real time when students may be distracted or need help. Our classroom management solution frees teachers from their desks and devices, allowing them to perform other essential tasks — grading assignments, answering questions, and so on — while also ensuring students use their devices appropriately. Faronics Insight is an effective classroom management tool which puts teachers back in control of the classroom. Using the simple Teacher Console, techers can eliminate distractions from surfing the web to online gaming. This classroom management solution helps teachers create a better learning experience, while helping IT teams manage and support multiple labs with ease. Impero Education Pro combines network, desktop and classroom management into one all encompassing, comprehensive solution. Check out Vision Pro, Netop's premium classroom management solution that includes a web-based student assessment system to support blended learning. SchoolVue Classroom Management software provides teachers with an instant, on demand connection to their student technology. Teachers can eliminate inappropriate technology use and wasted class time while gaining the most reliable and efficient classroom management tool in 1:1 environments. ALL In Learning provides web-based reporting and accompanying tools designed to create custom forms and evaluation criteria. Everything a teacher needs on a daily basis to manage the classroom. Class Charts streamlines the monitoring of pupil achievement and behaviour and can be fully customised to match your school's existing policy. iTALC is a free classroom management software which enables teachers to view and control computers in their labs and interact with students. LearnBoost is a free, easy to use online gradebook software with grade book, lesson plan, attendance and calendar tools for teachers. LessonWriter is a web site that generates comprehensive lessons and lesson plans for teaching English language skills from any English reading passage. Teachers and students around the world use Swipe every single day to increase engagement in the classroom and turn their presentations into conversations. It's live, interactive, and super simple to use. Swipe has helped over a million people share knowledge since 2013. Veyon is a classroom management solution that allows teachers to monitor and control student's computers and broadcast their screens easily. 360 Facility/FAMIS Space is a classroom management solution, designed to allow users to aain visibility into the space allocation and utilization across their campus, to identify opportunities for additional usage or funding. Acadly is a classroom interactivity tool with features for in-class student response, math-TeX support and no limits on the number of responses. It includes an instant messenger, Q&A and class management tools, and can be used both inside as well as outside the classroom. ClassMate is the Student Administration and Data Management software solution designed and built exclusively for specialized educational environments. eSpark meets the needs of every learner for life-changing outcomes. HotChalk provides education technology and services. Learn Every Day Planner is a preschool curriculum solution. Class management software that makes it easy to customize everything from soccer camps to science semesters. SchoolFront Portal is hosted online content management system (CMS) software branded for a school or district. UEIS offers decision making tools to support schools and districts in meeting their academic and programmatic goals. Why Use Classroom Management Software? Who Uses Classroom Management Software? These solutions provide device-monitoring features designed to limit in-classroom distractions. Classroom management software also allows teachers to block access to inappropriate websites and content. The purpose of these solutions is to allow teachers to implement technology in the classroom while limiting student distraction. Students stay on task, and teachers are able to do their jobs more effectively. Classroom management software is beneficial for a few different reasons. The primary reason to use these solutions is to promote proper technology usage in the classroom, while limiting the natural distractions that result from unsupervised tech implementation and use. The impact of these solutions, however, is not singular. Classroom management solutions improve teacher oversight, empower student-driven learning, increase classroom engagement, track progress, and improve both teacher-student and student-student communication. Oversight – With classroom management solutions, teachers can monitor student activity from a single device. Instead of the classic walk-around to ensure that students aren’t flouting in-classroom technology usage rules, teachers have direct access to exactly what their students are looking at. This way, teachers can be sure that students are not abusing their technological privileges. Empower autonomy and self-directed learning – By providing students with internet-connected devices, which enhance the in-classroom learning experience, teachers are empowering them to take on more responsibility for their education. Students armed with internet-connected devices in the classroom have increased access to information and ideas. The classroom management software installed on said devices enhances the impact that this increased information access has on the students, as it limits the potential for distraction and gives students an outlet through which to test their newfound knowledge. Increase engagement – Classroom management software provides educators with tools to boost engagement levels among students. Teachers can solicit student responses via their devices, making the entire classroom a more collaborative and responsive environment. Teachers can share their screens with students via these solutions as well, giving them another technological hook with which to snare students’ attention. Track progress– Classroom management software often contains progress reporting features for teachers to administer in-class assessments and monitor the results of those assessments. The assessments generally take the form of interactive quizzes to be distributed among the students and answered via the students’ devices. Improve communication – Classroom management solutions typically contain communication tools that facilitate student-teacher communication. The built-in communication tools ensure that there are always sufficient channels through which collaboration can take place. The teacher-student communication channels may also be private, so teachers can send individual messages and distribute advice as needed. Teachers – The primary users of classroom management software, teachers utilize these solutions to drive engagement, monitor users, track progress, and communicate with parents. Teachers make use of the full functionality of the software, shaping the breadth of usage within their classrooms. Students – While students do not have administrative access to classroom management software and don’t interact with it in the same way a teacher does, they are still users. Students utilize the software to answer questions in class, complete assessments given by their teachers, access teacher-created or -distributed content, collaborate with their classmates, and ask the teacher questions directly via the application. Administrators – School administrators may not directly interact with the software interface, but they have the ability to pull the data from classroom management solutions. They can use that data to shape school policy, create data-driven classroom initiatives, and generally inform their decision-making process when it comes to managing their school. Classroom management software often includes, but is not limited to, the following features. Remote computer monitoring – Classroom management software always contains remote computer monitoring features, which allow teachers to monitor student computer/device activity from a single workstation. Website and application blocking – This feature prevents students from accessing sites and content deemed inappropriate or distracting. The point of this is to ensure students stay on task. Teacher and student screen sharing – Teachers can use this feature, which broadcasts both student and teacher screens to a selected group of students, to share their own content and advice or to promote collaboration between students. Interactive assessments – Teachers can create and distribute interactive quizzes and other assessment types to student devices. Immediate response – This feature allows students to provide immediate responses to teacher-posed questions asked in the classroom. Instead of forcing a single student to answer the teacher’s question, the responsibility shifts to the entire class to provide an answer. Progress reporting – Teachers can use the responses generated during in-class assessments to more accurately track student progress. Instead of a single test determining the comprehension level of individual students, the teacher can aggregate more data and track each student more closely through the duration of each class. 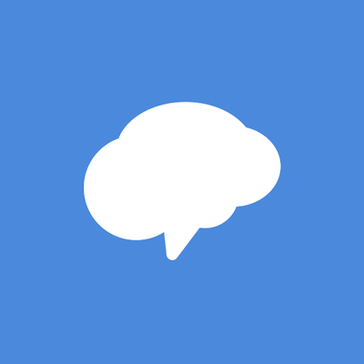 Instant messaging – Teachers can message students individually or as a group, depending on the intention. Students can ask and answer questions via the instant messaging capabilities of the application. Assignment distribution – Some classroom management software contains distribution tools so teachers can give students assignments directly through the application. This eliminates paper waste generated by handing out physical assignments and allows for greater tracking capability. Classroom management software fits snugly into the education software ecosystem as another tool in the arsenal of teachers and administrators. Classroom management software often integrates with learning management system (LMS) software and student information systems (SIS). Teachers and administrators can use all three categories of software to provide themselves with a well rounded, comprehensive view of student related data. Classroom management software also will often allow content importation from existing systems, such as an LMS. Hi there! Can I help you find the best Classroom Management solutions?